Not something perhaps that you associate with an osteopath; however certain types of headache can respond very well to osteopathic treatment. I'm not suggesting that a trip to the osteopath is appropriate every time you get a headache but for headaches that stem from the neck (cervicogenic) and for some migraine sufferers osteopathy can be a great boon. These are headaches that originate in the neck. Classically they start at the back of the head and spread over one eye, they don’t usually cause symptoms such as nausea or increased pain with light and most importantly they are aggravated or relieved by neck movements. The mechanism for these headaches is that poor joint function or inappropriately tight muscles at the top of the neck are irritating nerves which supply the areas where the pain is felt, typically the greater and lesser occipital nerves. By working on the upper neck this irritation can be addressed and symptoms removed or reduced. As an osteopath I will also want to understand why the upper neck is not functioning correctly and will want to look at your posture, particularly looking at your upper back and low neck, as well as understanding any work or lifestyle factors which may be contributing. 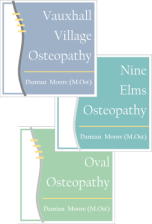 Perhaps surprising but there is a body of evidence to support osteopathic treatment for these. The mechanism for migraine headaches is not entirely certain and the mechanism by which osteopathy helps is even more uncertain but clinical experience and studies appear to show that patients undergoing osteopathic treatment can experience a reduction in frequency and severity of attacks. There area number of possible mechanisms. By reducing nociceptive inputs (these are inputs from sensors indicating potential damage, if there are enough of these for the brain to think significant damage is occurring it may respond by generating a pain sensation) from structures in the neck, the level of inputs may remain below the threshold which triggers a migraine attack. Likewise by making the patient feel better and less anxious the attention paid by the brain to nociceptive signals can be altered, perhaps achieving a similar effect. 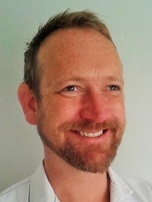 There appears to be a secondary vascular component to migraine headaches (for many years it was thought to be the primary component) and by reducing pain elsewhere and working otherwise to reduce sympathetic arousal (the autonomic system stress response), as well as working to reduce inappropriate muscle tone and to improve posture then it may be that regularisation or the blood supply may be what is helpful. If this sounds as though it is all couched in ifs but and maybes then I apologise but as I stated before we are still not sure about how this works, but there is evidence that it does. Headaches can be very minor but occasionally can also indicate a very serious problem. You should see a doctor if you have a headache which is worse than any you have experienced before; a new type of headache if over 55; a headache associated with changes in behaviour or personality, paralysis, changes in sensation, visual changes, speech problems, weakness or loss of balance; headaches associated with severe nausea and vomiting, a fever rash, shortness of breath, stiff neck; headache pain that keeps you awake at night and last but not least headaches following an accident or injury.